The University of Scranton will host a lecture, book signing and reception to mark the debut of volume III of a new six-volume edition of The Annotated Works of Henry George. The event, offered free of charge and open to the public, will take place at 4 p.m. on Friday, Sept. 28 in the Ballroom of The DeNaples Center. 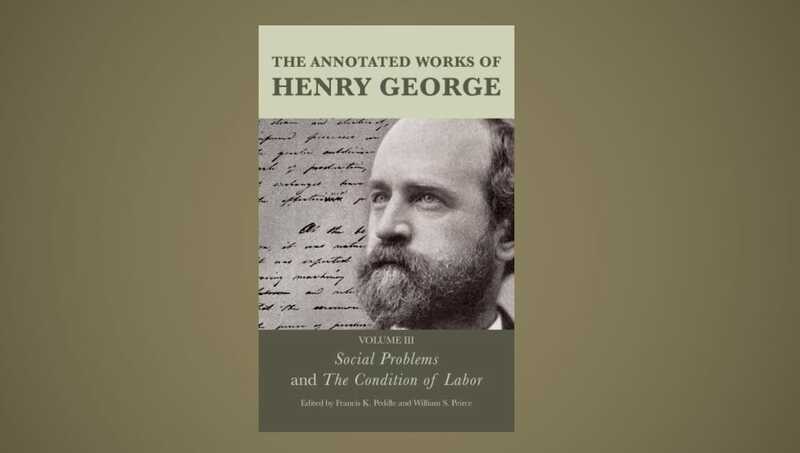 The Annotated Works assembles Henry George’s major works for the first time with new introductions, critical annotations, extensive bibliographical material, and comprehensive indexing. George (1839-1897) was an advocate for economic and social reform and the author of the best-selling classic book, Progress and Poverty. 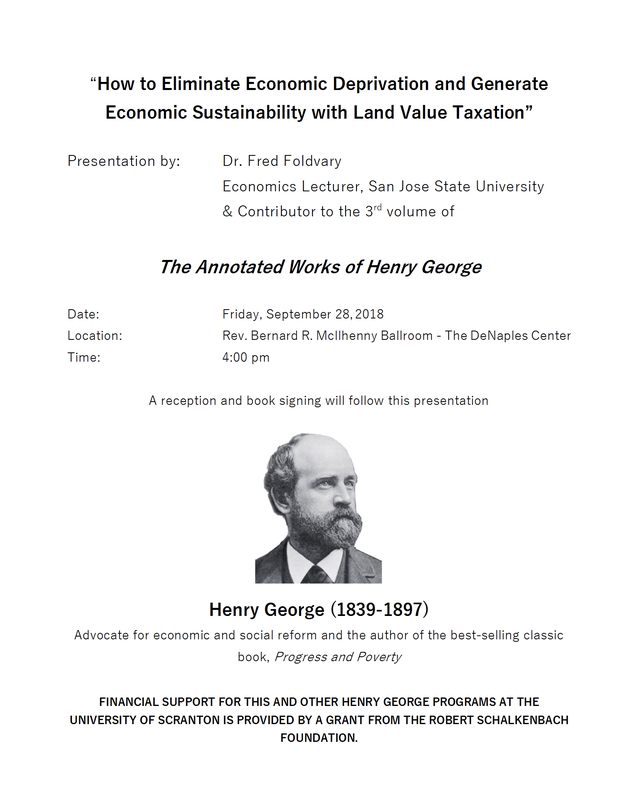 The Sept. 28 event will begin with an overview of The Annotated Works by Brendan Hennigan, program director of the Robert Schalkenbach Foundation and will be followed by a presentation by Fred Foldvary, Ph.D., a Henry George scholar and a lecturer in economics at San Jose State University, California. Dr. Foldvary’s presentation “How to Eliminate Economic Deprivation and Generate Economic Sustainability with Land Value Taxation” is based on his introductory essay to a chapter from The Annotated Works that includes three of George’s religious speeches: Moses, Thy Kingdom Come, and Thou Shalt Not Steal. Since 1986 the Department of Economics and Finance at the University has hosted the annual Henry George Lecture and Seminar series funded by a grant from the Robert Schalkenbach Foundation awarded to the University’s Kania School of Management. Ten Nobel Laureates are among the speakers in the series. The Robert Schalkenbach Foundation was organized in 1925 as an operating foundation to promote public awareness of the social philosophy and economic reforms advocated by George, who rose to fame as a social reformer and economist amid the industrial and intellectual turbulence of the late nineteenth century. A book signing and reception will follow Dr. Foldvary’s presentation. For additional information, contact Edward Scahill, Ph.D., associate professor of economics, at edward.scahill@scranton.edu.